Selling off our public land and water! The move to sell off 75.58ha of our natural heritage - the Broadwater - has begun. 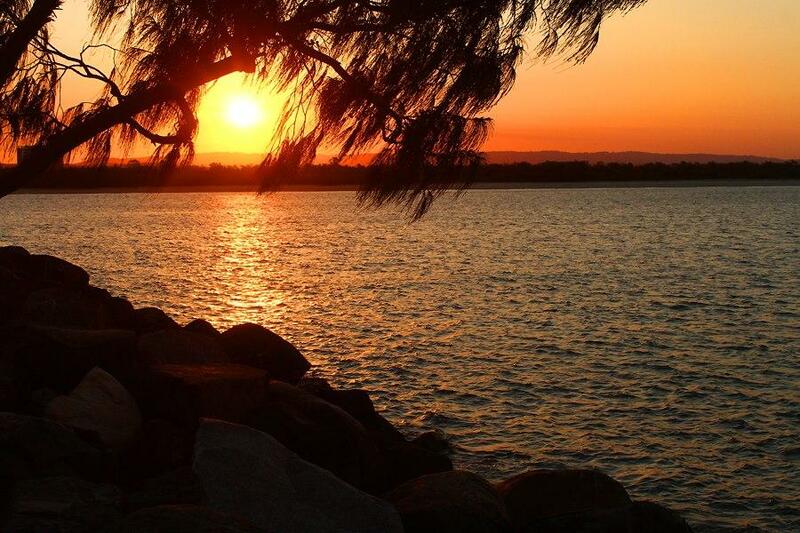 Lois Levy, President of Gecko-Gold Coast and Hinterland Environment Council (Gecko) said "Those who think a cruise terminal is a great idea need to examine the recently released Expression of Interest document for what is called the Broadwater Marine Project. It will cause them to think again. This document outlines only too clearly that the cruise terminal is a minor part of a massive public land grab by the development industry." The Expression of Interest (EOI) focuses on the construction of the cruise ship terminal and hotels, condominiums, retail, commercial, entertainment and a casino and was released on 23rd November. This document invites developers to present their proposals for the Broadwater Marine Project to the State Government for consideration. This announces a develop- at- all-costs mentality in this beautiful State and shows contempt for the needs of the population of the Gold Coast for preservation of naturally beautiful open space. The needs of the Gold Coast community for natural open spaces apparently counts for nothing. Much of the EOI is about the legal conditions associated with the presentation of proposals, but there are many enlightening aspects to this document. The map of the Broadwater shows the area considered as the zone for development outlined in blue. Gecko members were distressed to see that it encompasses 75.58ha of public open space reserve out of a total of 82ha. - Three lots of 4.23ha, .693ha, .546ha Land south of Sea World- unallocated State Land. This is a land grab under another name. In addition to "stealing" 75ha of public land, which the community enjoys in so many ways, the EOI suggests that it will be fine for the developer to reclaim more land by dredging and can even build out over the waters! Ms Levy said "The Gold Coast has a planning scheme which allows all of these developments to be built elsewhere on the Gold Coast. Why should the Gold Coast community be forced to give up precious open space that is essential for a growing population? The EOI goes on to make contradictory claims that the development must "respect the environmental qualities of the Broadwater" and "manage.. potential environmental impacts, while protecting the RAMSAR migratory bird sites through offsets. Where else is there any land/water areas on the Gold Coast that can be offset- it does not exist! " The EOI suggests that the 75 ha of public open space losses will be offset with nice manicured parklands "fringing waterfront land" rather than the natural open spaces and vistas of the foreshores and waterways of the Broadwater today. It is selling the Gold Coast community short for the profit of off-shore interests. 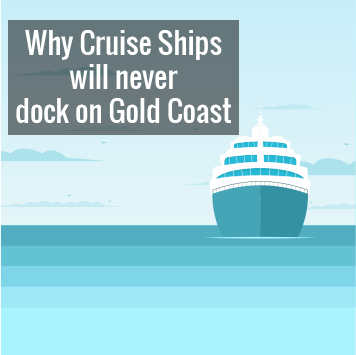 The proof that this is a land grab and not about a cruise terminal is found in the statement "Proponents need to undertake their own investigation in relation to the commercial viability of a cruise ship terminal in the Broadwater, including the response of existing cruise ship operators to such a proposal." To silence surfing and diving critics the development must provide "improved diver access to the Seaway" when the cruise liners are not coming or going and it must preserve "South Stradbroke Island as a nationally important surf break". Lois concluded "The biggest public rally of 3000 people ever held on the Gold Coast, opposing the proposals, was held on November 4th and the Government and the Council predictably dismissed the rally as the voice of "rent a crowd". However these were 3000 people who made the effort to spend their Sunday morning to give voice to their opposition to the massive development grab of the unique and beautiful Broadwater." Gecko has never had a problem with the development of the lands south of Sea World, but we take great exception to development of reserves with tenure of perhaps 99 years and irreversible alienation of public open space.